The following post is sponsored by Lorna Jane via my partnership with FitApproach and SweatPink. 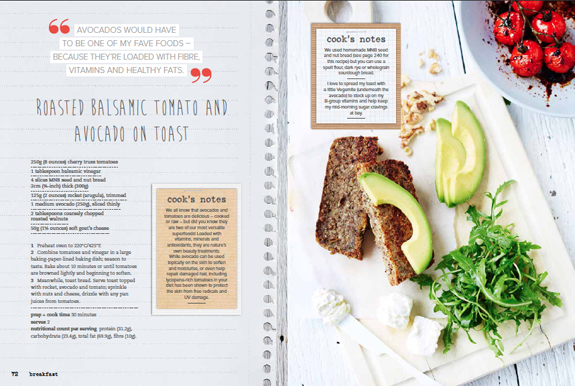 In exchange for my honest review, I received an electronic copy of the cookbook and a gift card to Lorna Jane. This, of course, in no way influences what you're about to read. 1) The list of ingredients cannot be longer than my grocery list, so to speak. 2) Items on the ingredients list must be readily available at an affordable price. 3) The recipe itself must not require a ton of actions. 4) There needs to be a picture so I can "wing it" if necessary. Bottom line, I just don't have a time for anything over-the-top. But I need help in the kitchen. I need new ideas and fresh inspiration because eating (mostly) healthy is hard. And can definitely be costly. Which is why I accepted the opportunity to review Lorna Jane Clarkson's new cookbook, Nourish: The Fit Woman's Cookbook. 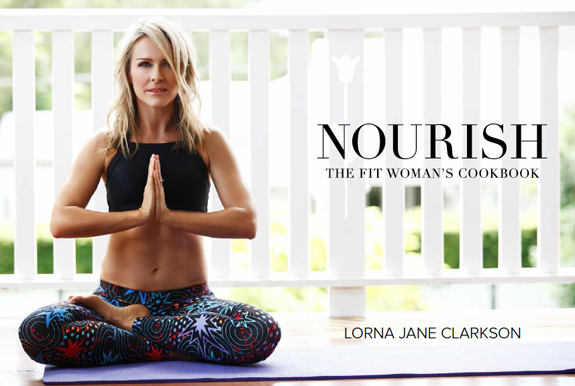 Are you familiar with Lorna Jane's Move, Nourish, Believe initiative? This cookbook is an extension of that. Of active living and guidance toward a healthy, happy existence. It's about feeling "uplifted, educated and excited to live the life you have always imagined (and deserved)." 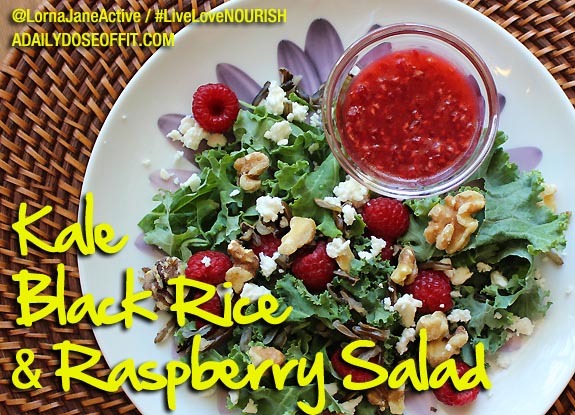 Surf the site and you'll find workouts, inspirational quotes and (of course) deliciously doable healthy recipes. Visually speaking, it's love at first click. And really, you'll feel the same about the cookbook. Confession: I didn't measure a single ingredient (see recipe requirement #4). Clearly, we're dealing with some stunning photography in this cookbook. And as I said before, you also get a number of notes, tips, tricks and quotes. Plus diet advice, should you be interested in that. So far, the only thing I hate about this cookbook is the fact that my copy is electronic and not printed. I'm so old-fashioned like that, especially when I'm cooking. But I used feta instead of goat cheese because I just can't with goat cheese. Um...yuck. Unlike the raspberry vinaigrette which is, um...uh-mayzing. 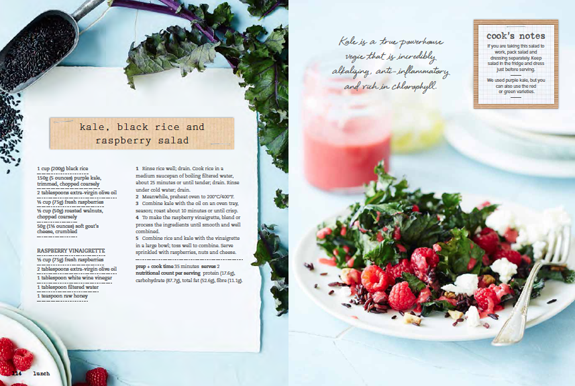 Want to learn more about this cookbook and the Move, Nourish, Believe initiative? Join me at the #LiveLoveNOURISH Twitter party on Wednesday, July 9 at 6:00PM PDT / 9:00PM EST. Follow @LornaJaneActive, @FitApproach and (of course, me) @adailydoseoffit beforehand so you don't miss a single tweet. 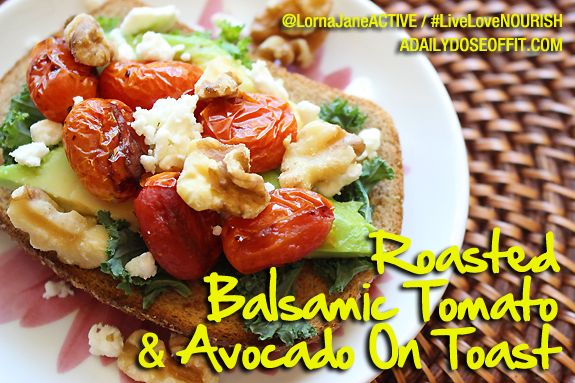 The most active participant will receive a $150 Lorna Jane gift card and a copy of the cookbook. Question: What is your favorite cookbook? Why? this will be one of my favorite cookbooks for sure- the photography alone makes we want to try things that I have not tried before!